Laura and Eddie Cavazos have been husband and wife since 1983 and have been a songwriting team throughout their marriage. Together, they have written Christmas cantatas, children's musicals, jingles and numerous Contemporary Christian songs. Their songs have been recorded by many Independent Christian artists and received airplay both on radio and television. 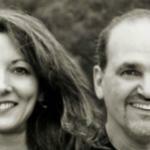 Laura and Eddie have released three studio projects, "Sing to the Lord" (2004), "Words and Music" (2006), and their most recent, "Well Done" (2009). All three projects were produced by John Pollock at Wavemaker Studios (www.wavemakerstudio.com) and feature some of the most talented artists and studio musicians in the San Antonio area. Songs from their projects have been recognized in various songwriting contests, including the Mid-Atlantic Song Competition (2010,2009,2008,2007, 2003), Billboard World Song Contest (2006, 2004), "I Write the Songs" Songwriting competion (2004) and "Song of the Year" contest (2008,2004), sponsored by VH-1. Eddie has also arranged several lullabies from Mexico in a collection entitled, "El Patio de Mi Casa" by Gabriela Montoya-Stier and published by GIA Music. The CD was released in Spring 2009. In December 2007, Eddie helped produce/arrange, " Operation Basic Christmas", a concert for the Basic Trainees at Lackland Air Force Base, San Antonio, TX. The accompanying CD, "Rejoice: A Child Is Born" featured traditional Christmas songs arranged by Eddie and his son, Josh Cavazos along with several original songs by such noted songwriters as John David Martinez, Billy O'Rourke and Laura and Eddie Cavazos. Laura and Eddie were honored to have their song, "Unto These" from their "Words and Music" CD, selected as the National theme song for, St. Vincent de Paul Society . The CD/DVD was released in November 2006.
years! Eddie has been an elementary music teacher for 27 years and has been a music minister at Lackland Air Force Base, San Antonio, TX since 1975. Laura is an Early Childhood Reading specialist and is currently working on her Masters Degree in Counseling.